We teach women, men, and children in a family atmosphere, no matter age, physique, or level of experience. Teaching men, women, and children in a family atmosphere, Riederer's Kenpo Self-Defense Studio combines the principles of American Kenpo with philosophies of Bruce Lee's Jeet Kune Do (JKD) in a REALITY BASED system that will work for ANYONE, no matter age, physique, or level of experience. Serving all of Western New York, we are conveniently located on Niagara Falls Blvd. in Tonawanda. Our instructors are professional, friendly, and dedicated to helping you learn to protect yourself and your loved one﻿s. We believe our system will work for you because we tailor it to your individual needs. We are the only Western New York school certified to teach Mo Shi Do Kenpo and J.S. Wing Chun. Classes﻿﻿ vary by age group and focus; we have courses for young children, teens, adults, and courses geared specifically for women's self-defense. Anyone is welcome to visit our classes and see what sets us apart. 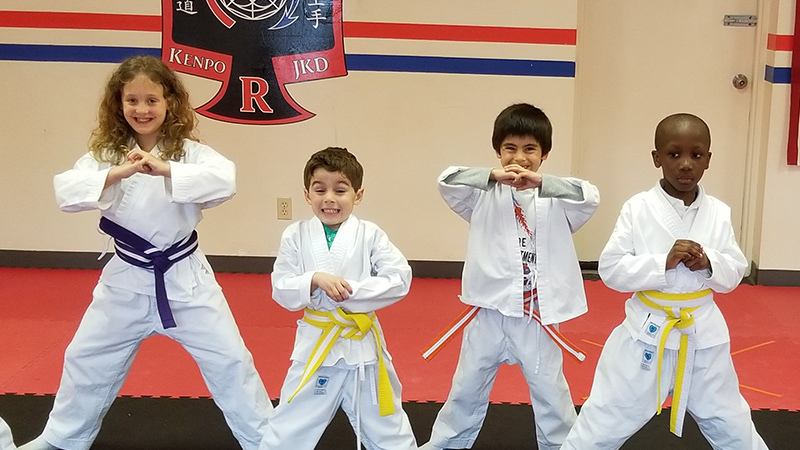 Children learn the skills necessary to defend themselves in a realistic, appropriate manner, focusing on anti-bullying tactics and character development; your child will gain confidence, learn self-control, and be a black belt at home and in the classroom. Your child will gain skills that will last a lifetime!